Traditionally, definition of a new bacterial species or genus has relied on the application of the “gold standard” methods of DNA-DNA hybridization and G+C content determination . However, those methods are expensive, and poorly reproducible. The development of PCR and sequencing methods led to new ways of classifying bacterial species, using, in particular, 16S rRNA sequences with cutoff , together with phenotypic characteristics. Recently, a number of new bacterial genera and species have been described using high throughput genome sequencing and mass spectrometric analyses, which allows access to a wealth of genetic and proteomic information [4,5]. 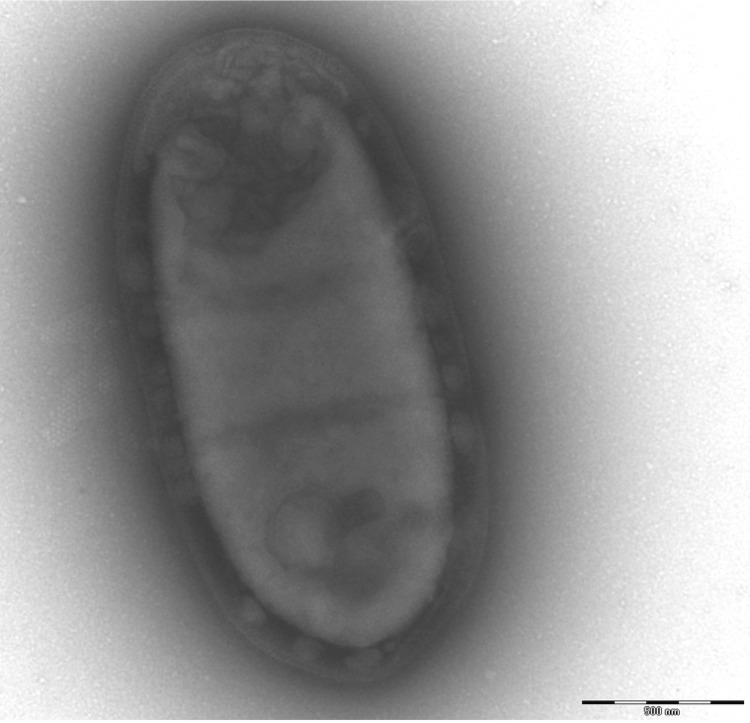 We propose a new bacterial genus and species using a whole genome sequence and a MALDI-TOF spectrum, and the main characteristics of the organism, as we have previously done [6-12]. An osteoarticular sample was collected from a patient as part of a study analyzing emerging anaerobic infectious agents by MALDI-TOF and 16S rRNA gene sequencing. The specimen was sampled in Marseille and preserved at -80°C after collection. Strain 9401234T (Table 1) was isolated in February 2009, by anaerobic cultivation on 5% sheep blood-enriched Columbia agar (BioMerieux, Marcy l’Etoile, France). Based on the 16S rRNA sequencing, this strain exhibited 87% sequence similarity with Tissierella creatinini . In the inferred phylogenetic tree, it forms a distinct lineage within the Clostridiales Family XI Incertae sedis (Figure 1). Those similarity values are lower than the recommended threshold to delineate a new genus without carrying out DNA-DNA hybridization . Colonies are punctiform, grey, smooth, and round when grown on blood-enriched Columbia agar (Biomerieux), under anaerobic conditions using GENbag anaer (BioMérieux). Growth was achieved anaerobically, on blood-enriched Columbia agar and in TS broth medium after 72h. They also were grown under anaerobic conditions on BHI agar supplemented with 1% NaCl. 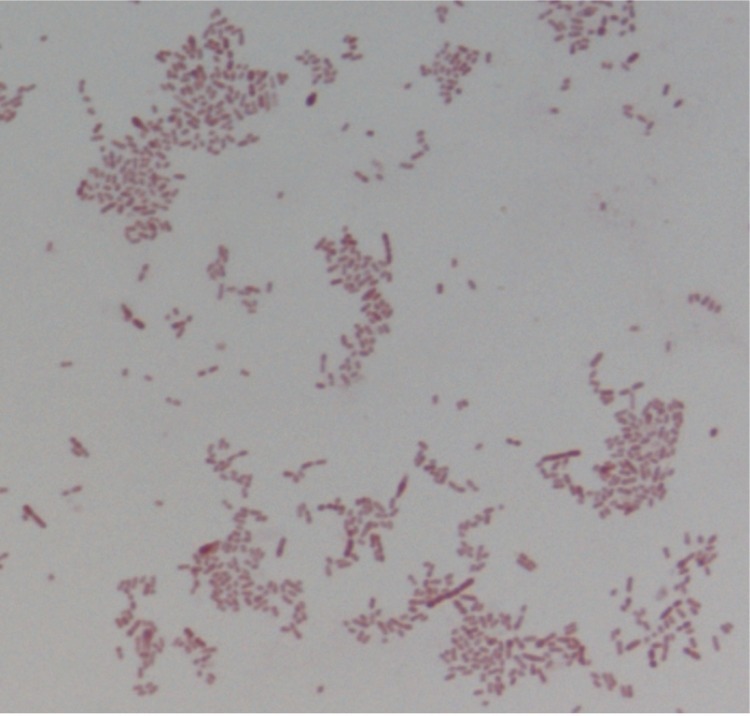 Growth did not occur under microaerophilic conditions and in the presence of air, with 5% CO2. . Gram staining showed rod-shaped non spore-forming Gram-negative bacilli (Figure 2). Cells were non-motile. Cells grown in TS broth medium have a mean length of 1.555 µm (min = 1.167µm; max = 2.948µm), and a mean width of 0.772 µm (min = 0.602 µm; max = 1.014 µm), as determined using electron microscopic observation after negative staining (Figure 3). This project was loaded twice on a one-quarter region for the paired end application on PTP Picotiter plates. DNA (5µg) was mechanically fragmented on a Hydroshear device (Digilab, Holliston, MA, USA) with an enrichment size at 3-4kb. 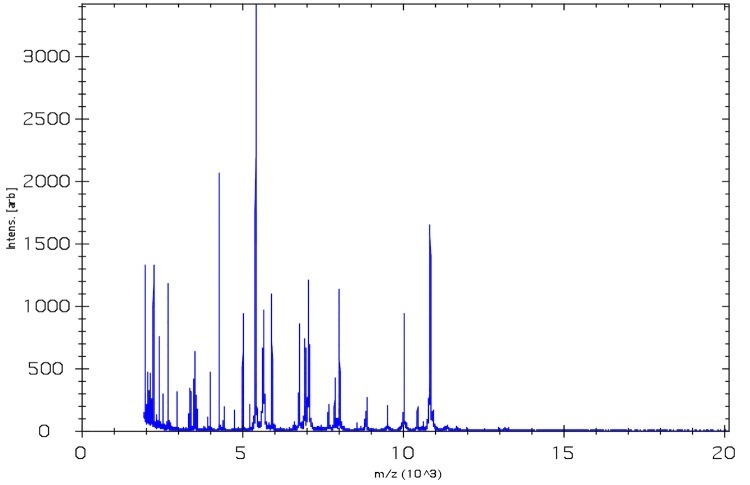 The DNA fragmentation was visualized through an Agilent 2100 BioAnalyzer on a DNA LabChip 7500 with an optimal size of 4.2 kb. The library was constructed according to the 454_Titanium paired end protocol and manufacturer recommendations. Circularization and nebulization were performed and generated a pattern with an maximum at 686 bp. After PCR amplification through 15 cycles followed by double size selection, the single stranded paired end library was then quantified on the Agilent 2100 BioAnalyzer with a RNA 6000 Pico chip at 1,820 pg/µL. The library concentration equivalence was calculated as 4.87E+09 molecules/µL. The library was stored at -20°C. The draft genome sequence of F. massiliensis has a slightly bigger size compared to the Peptoniphilus sp. ( 1.71 Mbp and 1.47 Mbp, respectively). The G+C content is slightly higher than Peptoniphilus sp. (34 and 31%, respectively). Fenollaria massiliensis gen. nov. encodes more genes (1,697 genes against 1,463 genes), however the number of genes per Mb is similar (1,007 – 1,004). Some COGs contain significantly more genes as “RNA processing and modification” (+208,7%) or “Secondary metabolites biosynthesis, transport and catabolism” (+115,9%), whereas others contain less genes as “Nuclear structure” (-100%) or “Defense mechanisms”(-42,4%). Fenollaria massiliensis (ma.si.li.en′.sis. L. fem. adj. massiliensis, of Massilia, the Latin name of Marseille where was isolated F. massiliensis). Rossello-Mora R. DNA-DNA Reassociation Methods Applied to Microbial Taxonomy and Their Critical Evaluation. In: Stackebrandt E (ed), Molecular Identification, Systematics, and population Structure of Prokaryotes. Springer, Berlin, 2006, p. 23-50. Michra AK, Lagier JC, Robert C, Raoult D and Fournier PE. 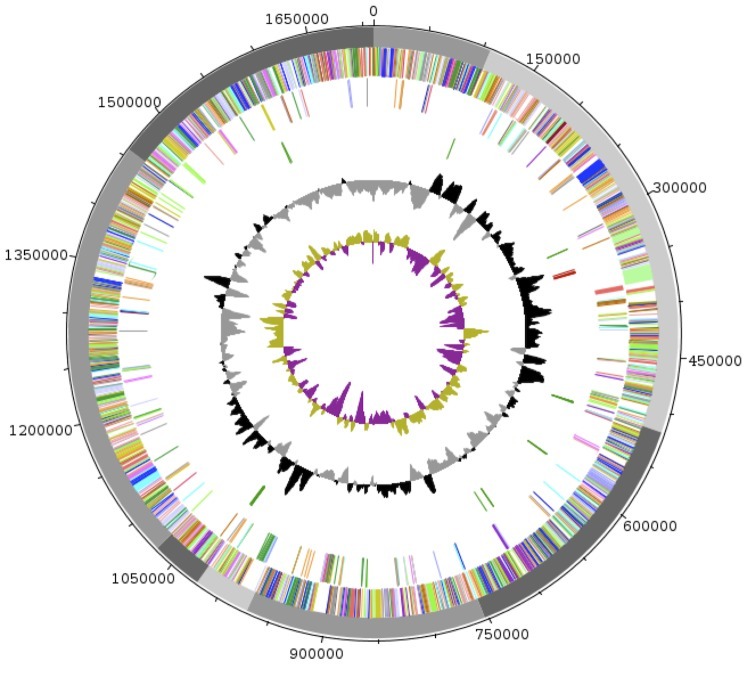 Non-contiguous-finished genome sequence and description of Peptinophilus timonensis sp. nov. Stand Genomic Sci. 2012; (In press). Michra AK, Lagier JC, Robert C, Raoult D and Fournier PE. Non-contiguous-finished genome sequence and description of Peptinophilus senegalensis sp. nov. Stand Genomic Sci. 2012; (In press). Ludwig W, Schleifer KH, Whitman WB. 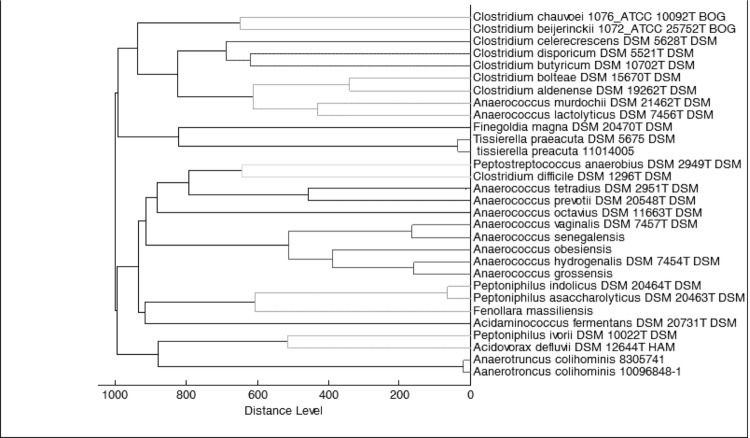 Revised road map to the phylum Firmicutes. In: Bergey's Manual of Systematic Bacteriology, 2nd ed., vol. 3 (The Firmicutes) (P. De Vos, G. Garrity, D. Jones, N.R. Krieg, W. Ludwig, F.A. Rainey, K.-H. Schleifer, and W.B. Whitman, eds. ), Springer-Verlag, New York. (2009) pp. 1-13.